Have you ever gotten ready for work and found the only thing in your cupboard was a box of Fruit Loops or Cocoa Puffs? So, you ate a bowl full and a few hours later got that early morning sugar crash. It’s a bigger deal than you think because for anyone trying to lose fat/weight, sugar is the enemy of weight loss. The primary source of weight gain, other than lack of exercise, is sugar intake at the wrong time, and in too large a quantity. Yes, that cola, ice cream, or large plate of pasta you may be eating right now. 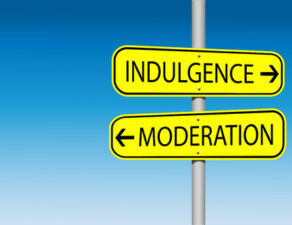 Not all sugar is bad, but it should be eaten in moderation. Let’s explain it in lay terms. 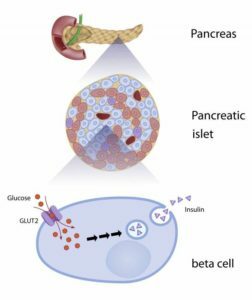 Because of the effects of sugar and other forms of carbohydrates on blood-sugar levels, we shall refer to insulin for illustration of this concept, which is a hormone produced by the beta cells of the pancreas, as the insulin level. 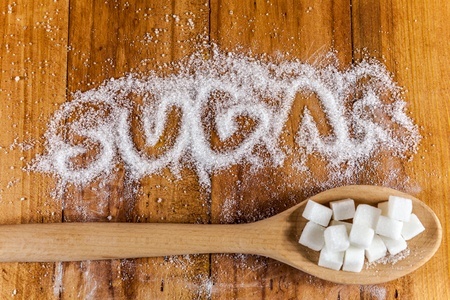 This is because of the general appearance of the blood sugar level as it rises and falls in response to sugar intake and insulin release has a cyclic appearance. The key is to be able to manipulate both insulin and glucagon to help you lose fat. I know many of you lean, mean, workout machine junkies may care less about body-fat reduction. While fitness junkies are already there, for a great many this is a big problem. The segment of the population that have a fat or weight loss problem far outnumber the fitness junkies among us. This group is more concerned about losing love handles and belly fat from a recent pregnancy than how much weight to add to the next set. Even though many will admit they are overweight due to lack of exercise and overeating, they still desire to have a better body and fitness level. With a constant on-the-go lifestyle, it is difficult to plan to always have good nutrition and so we become not fitness, but fast-food junkies. The gold standard for gaining weight. If you need eat out frequently, remember two things: (1) make wise choices for food consumption; and (2) eliminate sugar in those choices. Sugar is your enemy! There are hundreds of diets and workout programs claiming they will eliminate your body fat while allowing you to enjoy your favorite foods. Surprisingly, quite a few of them work ‘IF’ you strictly adhere to their guidelines and remain disciplined with sensible calorie intake combined with exercise. So, what’s a person to do who is attempting to maximally lose body fat? You must maintain your blood-sugar level between 70 mg/dl and 110 mg/dl. This is key to use insulin and glucagon in your favor and if you do this you will burn more fat. Biologically, it comes down to your body’s ability to regulate the two hormones insulin and glucagon in relation to your dietary intake. At this point, I’m going to need to get just a little technical for you to understand how and why the process works. Insulin increases the synthesis of glycogen in the liver and the movement of glucose from the bloodstream into body cells. How is blood sugar level controlled? The pancreas works with the liver to perform this task. When you begin eating, the pancreas releases small amounts of insulin. When a lot of glucose (sugar in lay terms) enters the bloodstream, the pancreas releases more insulin. This insulin stimulates the liver to synthesize glycogen, the storage form of glucose, i.e., your ‘cell sugar’ in the body, and stimulates adipose (fat) cells, muscle cells, and other cells to increase glucose uptake. By triggering both glucose storage in the liver and glucose movement from the bloodstream into various types of cells, insulin keeps glucose from rising too high in the blood. Individuals that have diabetes understand how critical and important this is. The take away is that as you eat more sugar, more insulin is produced and more fat cells are stimulated to take up more glucose. When this happens, i.e., the cells are full of glucose, you simply build and store more fat. Burning that fat will not happen naturally by your systems since it is overloaded as it were with sugar. Bear with me as I attempt to explain the insulin level and glucagon secretion in lay terms. The insulin level is a representative norm for a diabetic or healthy individual who doesn’t eat too much sugar or large portions of carbohydrates at one time. Insulin levels, referred to as your blood-sugar level, typically fluctuate a little. By keeping these levels steady, it is almost impossible to gain weight or put fat on the body! And, you can do this if you don’t over eat carbohydrates and indulge in too many sweets. Insulin is secreted by the beta cells of the pancreas when your blood sugar levels are high. So, following a meal that contains mostly high sugar, rapidly digested carbohydrates, your blood-sugar level may skyrocket far past the desired level of 110 mg/dl. 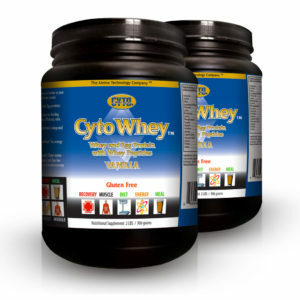 This will facilitate storage of glucose (blood sugar) in the muscle tissues and especially fat cells. Tip: Limit yourself to no more than 35 grams of carbohydrates per serving then, you can keep from spiking your insulin level past 110 mg/dl. Glucagon secretion, commonly referred to as the Glucagon Cycle, is the cycle in your body that is responsible for burning or metabolizing fat already stored on your body. Glucagon is a hormone made by the pancreas that stimulates the breakdown of glycogen in the liver into glucose, which increases blood glucose. Glucagon is secreted by the alpha cells of the pancreas when blood sugar is low. 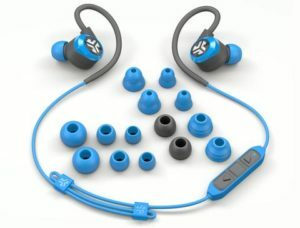 This primarily occurs between meals and when exercising. Glucagon causes the liver to release stored energy into circulation. 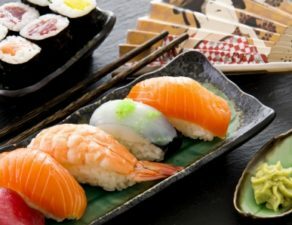 When the correct types of food are eaten in combination, glucagon works with insulin levels and both are in normal parameters to help you maintain a strong, healthy body that has less fat on it. What happens when you eat a large portion of complex carbohydrates such as bread or pasta, or simple carbohydrates such as a coke, candy bar, or ice cream? The result is a spiked insulin level. For example, drinking a regular coke (typically 180 calories or 45 grams of carbs) creates a spiked insulin level for about 2-4 hours or more. The more sugar you eat, the longer the spiked level will remain. The effect can become more pronounced for persons 35 years old and older. Also, increased amounts of sugar usage will increase cholesterol in the blood. When the insulin level begins to fall, you will notice the ‘crash’ that is typically exhibited as drowsiness or sluggishness. You know, you’ve experienced it, that early morning crash you got from eating that cinnamon roll, donut, or sugar frosted corn flakes! 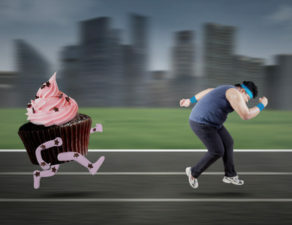 Eating large amounts of sugar or carbohydrates causes a double whammy. 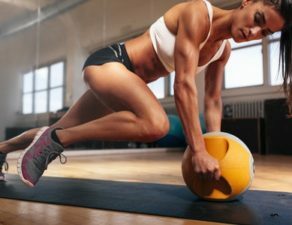 It will both spike the insulin level and cause an immediate depression of your fat burning metabolism, which makes it impossible, during the period of the spiked cycle, for your body to burn or metabolize stored fat. Thus, you’ll end up gaining unwanted pounds. Also, the intake of alcohol, since it is high in sugar, is even more exacerbated because the alcohol serves as the body’s immediate energy source leaving the sugar to be stored as fat as well. Again, I am not implying that you cannot eat sugar. It’s okay to celebrate the birthday or have a nice dessert once or twice a week. But, if you’re drinking 3 to 5 cans of soda per day, reduce it to one can or so every 2 to 3 days. Besides, these kinds of foods have minimal nutritional value and do little for your overall health when eaten in larger portions, which is in addition to the effects discussed here. Use sugar as a reward for hard work. It is very appropriate to drink something such as grape juice (4 to 8 ounces), about 20 to 30 minutes prior to your workout. For those who wish a more detailed, technical description of this process, it is included, along with graphs for a visual effect in Appendix 2. 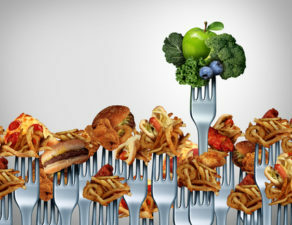 Tip: Eat complex carbohydrates in smaller meals throughout the day. This will lessen the chance of a spiked insulin level and allow more of your food and stored fat to be burned as energy, giving you the healthy body you desire and keep your insulin level down. Essentially, insulin and glucagon work in balance – insulin increases, glucagon decreases, and vice versa. Insulin promotes storing energy and manufacturing proteins, while glucagon promotes the release of stored energy, both glucose and fatty acids. The big take away is that keeping your blood glucose level in check, i.e., below 110 mg/dl, will not only help, but cause your body to consistently burn more stored fat. 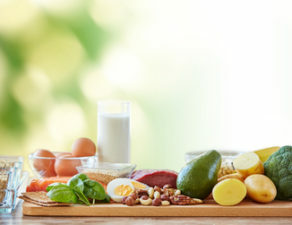 A good diet with adequate protein and carbohydrate sources will minimize insulin spikes, increase glucagon, and ultimately promote less fat storage. Therefore, to optimize fat reduction, it all reverts to the basics – eat properly and exercise regularly. Remember to pay closer attention to the diet component to maintain an optimal blood-sugar level since it can facilitate more fat burning throughout your day. Tip: Eliminate sugar from your diet for 2 weeks, while eating general carbohydrates sparingly and you will lose at minimum 10-12 pounds. Some clients have lost as much as 18 pounds in 2 weeks without exercise. 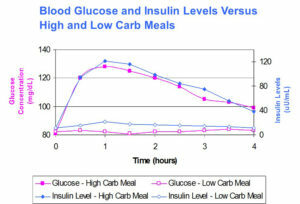 Illustrations of the effects of high carb intake on blood sugar levels are shown below. In the first graph, you can observe that high-carb/sugar meals drastically increase your blood-sugar level (top two lines) from the norm (bottom two lines). So, eat less carbs/sugars at one time. 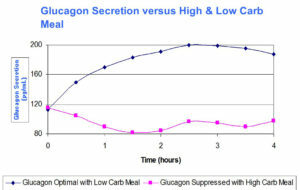 In the second graph, you can see that glucagon is optimal or in lay terms, your fat burning cycle operates at full efficiency with a low carb meal (blue line), but is drastically reduced and becomes inefficient in fat burning with a high carb meal (pink line). What should you really eat?